As the hardwood foliage bursts in a blaze of colors on Columbus Day weekend, take in the spectacular sights and to taste some award winning cheese during the Maine Cheese Guild’s annual Open Creamery Day. Visit many of Maine’s cheese makers in their creameries, meet the animals, and learn the stories behind Maine’s more than 150 artisan cheeses. Along the way you can also visit a farmers’ market, stop at an orchard, explore one of Maine’s premier breweries or winemakers, pick fruit at Maine’s legendary orchards, and drop-in on one of the many artisan bread makers our state has to offer. You’ll love the views, and the taste of Maine cheese, straight from the source, will be the best memory of all! In addition, you might want to also take a look at the Maine wineries, breweries, orchards, and/or other farms that will be open to visitors all over the state that weekend so that you can explore all the great food available in Maine at the same time that you visit and support your local Maine cheese maker. Visit the goats and sample the award-winning cheese at Appleton Creamery in Appleton. Cheese is handcrafted daily using traditional methods from the milk from our herd of Alpine goats and nearby EllsFarm sheep dairy. 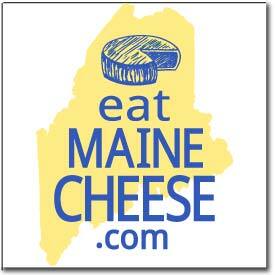 Balfour Farm is a new member of the Maine Cheese Guild in 2011. We are a MOFGA certified dairy farm. Our Normande and Jersey herd produces award winning quality milk that is bottled right on the farm (non-homogenized, not pasteurized). In 2011 we began offering fresh cheeses, Quark, butter and buttermilk, as well as greek style yogurt, traditional yogurt and drinkable yogurts featuring Maine blueberries. As a small family farm, we also produce fresh eggs and apples, straight from the orchard. Flying Goat Farm produces small hand-crafted batches of fresh chevre in several varieties, as well as feta. We are also known to occasionally make goats’ milk yogurt, and sweet chevres for special occasions. We strive to manage our small herd of (spoiled) Nubian dairy goats with a primarily natural and holistic approach and it is important to us to know each animal as an individual. Simply put, we believe that tasty cheese comes from happy and healthy animals! Goat milk chevre, feta, ricotta, camembert and APRIL MOON-a semi hard cheese. We are a small goat dairy offering goat milk, goat meat, yogurt and a variety of cheeses. Our animals enjoy access to 200 acres and our cheese is made fresh daily. Come see our new calf and try our new Provolone and smoked ricotta salata cheese along with old favorites Jersey Gold Cheddar and Ricotta Salata. We have 5 Jersey cows who are pasture grazed and provide the hormone and antibiotic free milk that is made into delicious cheeses. There are also sheep, chickens and horses to see. Hope to see you in October! Kennebec cheeses reflect the mix of cheese makers, Kiwi and Yank, bringing pastoral skills and recipes from New Zealand back to the family farm in Sidney, Maine. We handcraft small batches of cheese and yoghurt from Alpine goat and organic Jersey cows’ milk. The goats are raised on pasture and GMO-free grain here on Koons Farm and Willie raises his cows on nearby Woodside Farm. Farmstead raw milk gouda, cheddar, and camembert, plus fresh mozz, feta, and yogurts. Come taste some cheese and visit the cows and calves. Our high producing herd of 125 goats is our foundation. We have been making and selling cheese since 1980. Our commitment to producing the highest quality milk, an element in superior cheeses, continues. Fresh, mold-ripened, and aged cheeses hand-crafted with milk from local herds. Stop by to taste our award-winning Spring Day Blues. Using the milk from our herd of 65 dairy goats, we make many different kinds of fresh and aged cheeses. We also sell raw and pasteurized bottled milk. The creamery will be open from 9 to 5 with demonstrations, tours and sampling throughout the day. Folks are welcome to walk around the farm and view the animals, tour my new barn that houses a wide array of farm animals, enjoy a lunch or breakfast in our café, and visit our fiber and gift shop at the farm store. We are 1 mile north on 117 off of rt 4. Come visit our farmstead Est. 1984 and view the animals, sample our award winning Fresh Chevre Rolls, our aged Capriano or our Ripened Chevre Roll. See where the cheese is made and how the animals spend their days. Bring your kids & bring your camera!